The Office and Professional Employees International Union Local 2, or OPEIU Local 2, represents about 8,000 working people in DC, Maryland, and Virginia. We negotiate and enforce contracts, organize and train members, and develop leadership that extends beyond the workplace. We are constantly working to defend and advocate for not only our members' rights, but for the rights of all working people as well. Do you want to empower your colleagues and have a stronger voice in your workplace? Do you need an equitable contract that ensures your rights? Contact our Organizer to find out how you can form a union and join Local 2. Join us Wednesday, May 1st from 12-1pm at a rally in support of OPEIU Local 2 members working under an IMPOSED CONTRACT at the AFL-CIO. AFL-CIO has given itself the management right to furlough any of our employees for any number of days. This is added to working more hours with no proportionate compensation and 7 years of wage freezes. ​And management? They just gave themselves $4,000 bonuses in December. OPEIU Local 2 has filed an Unfair Labor Practice (ULP) against Kelly Press. View ULP here. Located in Cheverly, Maryland, Kelly Press provides printing and convention services to several area unions and pro-labor organizations. Kelly Press markets itself as a unionized and pro-union company. OPEIU Local 2 is alleging that Kelly Press management is discriminating against one of its shop stewards and attempting to exclude him from the unit. Ask management at your organization if you use Kelly Press. If you do, think twice. We are inviting all Local 2 Kaiser members to call in and join another TeleTown Hall from 7-8pm, Tuesday, May 7th. This will be an opportunity to hear updates on national bargaining and to ask questions. Please sign up on the link below! OPEIU's 28th Convention theme is A New Model for a New Union and will take place June 10th-14th in Las Vegas. The convention will kick off with an exciting look at the future of the American workplace, what it means to be a union member today, and why greater activism is the key to meeting the challenges of the 21st century. As an OPEIU member, you're encouraged to join the discussion! Speakers to include Robert Reich, a political commentator, professor and world-renowned author. OPEIU members, you're invited to join the discussion. Sign up here: www.opeiu.org/2019Convention. 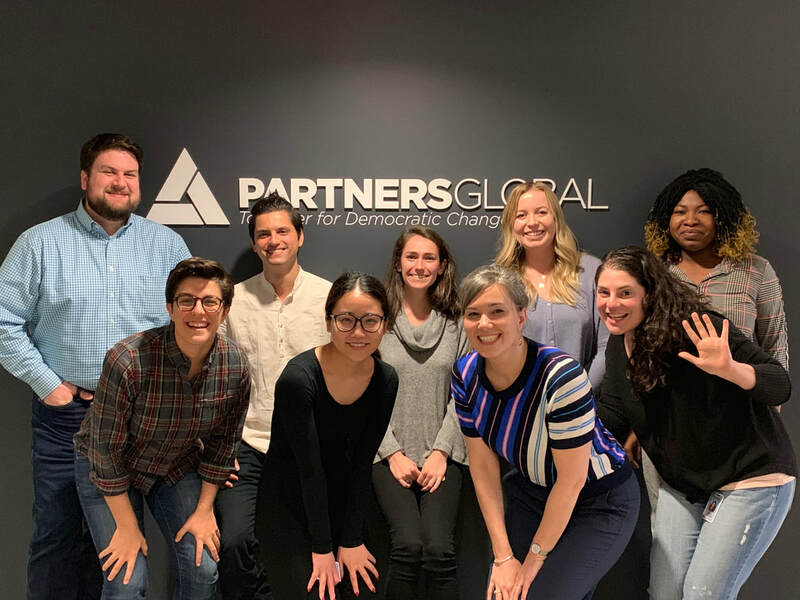 Fifteen employees at PartnersGlobal joined Local 2 as a newly organized unit on Monday, March 11th. The unit, comprised primarily of program officers and finance staff, spent months building up power among their colleagues before making a request for voluntary recognition in January. PartnersGlobal, based in Washington, DC, works internationally with grassroots organizations to fund sustainable peace-making efforts and to support local democratic initiatives. The unionizing campaign follows in the footsteps of recent organizing successes at the Center for American Progress (CAP) and the National Democratic Institute (NDI), represented by the Nonprofit Professional Employees Union and Local 2, respectively. As staff at other DC-area nonprofits and social service organizations begin to recognize the value of forming a union and the empowerment gained from bargaining a first contract, we expect to see more employees attempting to do the same. With the support of other union members and the expertise of Local 2 staff representatives, the new members of PartnersGlobal are working hard to gather input from everyone in the unit before they bargain in the coming months. 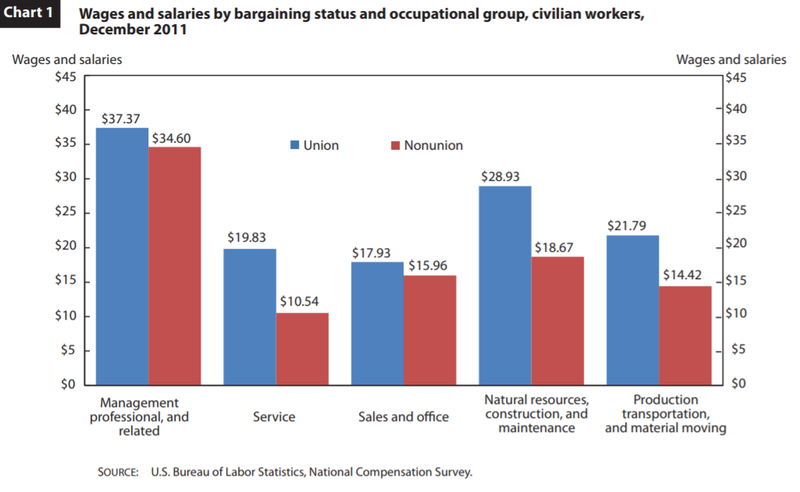 Are Unions Exploiting Their Employees? Workers have authorized strikes against both SEIU and AFL-CIO. One of America’s largest unions is facing its own labor pains. SEIU, the Service Employees International Union, represents nearly two million workers. It’s the muscle behind the “Fight for $15” campaign to raise the minimum wage. Yet staff at SEIU’s headquarters in Washington, D.C., could soon be going on strike. Employees at SEIU are organized by two unions: the Union of Union Representatives and the Office and Professional Employees International Union. Last week, after a breakdown in talks with the bosses, OPEIU’s Local 2 announced that workers had authorized a strike, with 92% voting in favor. Mediation is in progress. Tenure protections are also at stake. “They want to make unionized workers less secure and give them less job security,” David Hoskins, an SEIU researcher and OPEIU organizer, told the Huffington Post. Today, he said, if SEIU wants to get rid of a position held by a staffer with five years of tenure, it must offer him or her a new job. Management wants to end that provision, though SEIU says the change would apply only to new hires. Meanwhile, OPEIU’s Local 2 is in heated negotiations on behalf of the accountants, janitors and so forth that it represents at AFL-CIO. Those employees authorized a strike last October, while making formal complaints of unfair treatment to the National Labor Relations Board. With all this heavy bargaining, one question is whether OPEIU’s and UUR’s negotiators are being treated fairly for their hard work. Is there a union for the Union of Union Representatives’ representatives? Appeared in the March 19, 2019, print edition of the WSJ. Learn more about our fight against SEIU management. Learn more about our fight against AFL-CIO management. ​In the face of continued attacks against their labor rights, SEIU Headquarters union workers vote overwhelmingly to authorize a strike. ​The strike authorization vote comes after years of union-busting attacks by management at SEIU and its pension fund stalling bargaining over attempts to remove job security for workers. WASHINGTON, DC – In a significant show of strength and unity, 92 percent of OPEIU Local 2 members who work at SEIU headquarters authorized a strike after rejecting management’s best and final offer. The vote reveals the extent of labor unrest inside SEIU’s own office as management has eliminated the majority of union jobs in favor of outsourcing the work to non-union consultants. March 6, 2019 - OPEIU Local 2 has filed a second Unfair Labor Practice (ULP) against the AFL-CIO with the National Labor Relations Board (NLRB). Charges against the AFL-CIO include: (1) unilaterally changed terms and conditions of the bargaining unit driver and other unit employees without notice and bargaining with OPEIU Local 2; (b) discriminated in the assignment of work because OPEIU Local 2 bargaining unit members exercised their rights under Section 7 under the Act; (c) imposed terms seeking unlimited managerial discretion over workforce numbers, hours and days of operations without a good-faith impasse in negotiations; and (d) since September 11, 2018, failed and refused to provide relevant collective bargaining information requested by OPEIU Local 2. View ULP charge here. Read more. "Rising wage inequality and sluggish hourly wage growth for the vast majority of workers have been defining features of the American labor market for nearly four decades, despite steady productivity growth." 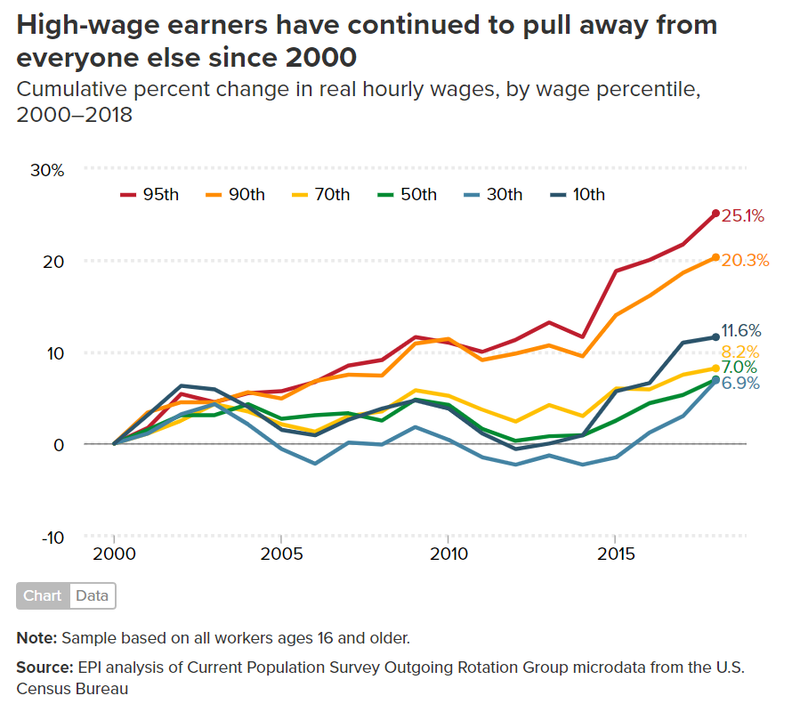 Elise Gould outlines the important, and deeply troublesome, trends observed in American wages over the past several decades. While those in the highest income brackets have seen some of the greatest wage growth, low-income workers have seen very little real increases. In essence: wage inequality is increasing at a much faster rate than we've seen in the past. Read more and learn about the differences across gender, race, age, etc. Staff at progressive organizations across the country recognize the benefits of forming a union in their workplaces. Read more about some of the work Local 2 is doing with groups like the National Democratic Institute in Washington, DC. Read George Long's takeaways from a ten-year study titled "Differences Between Union and Nonunion Compensation, 2001-2011." Long uses extensive statistical evidence to demonstrate that not only have unionized employees continued to earn more both in wages as well as benefits, but the differences between union and nonunion employees have widened--the benefits for union employees are even greater now than they were at the start of the century. 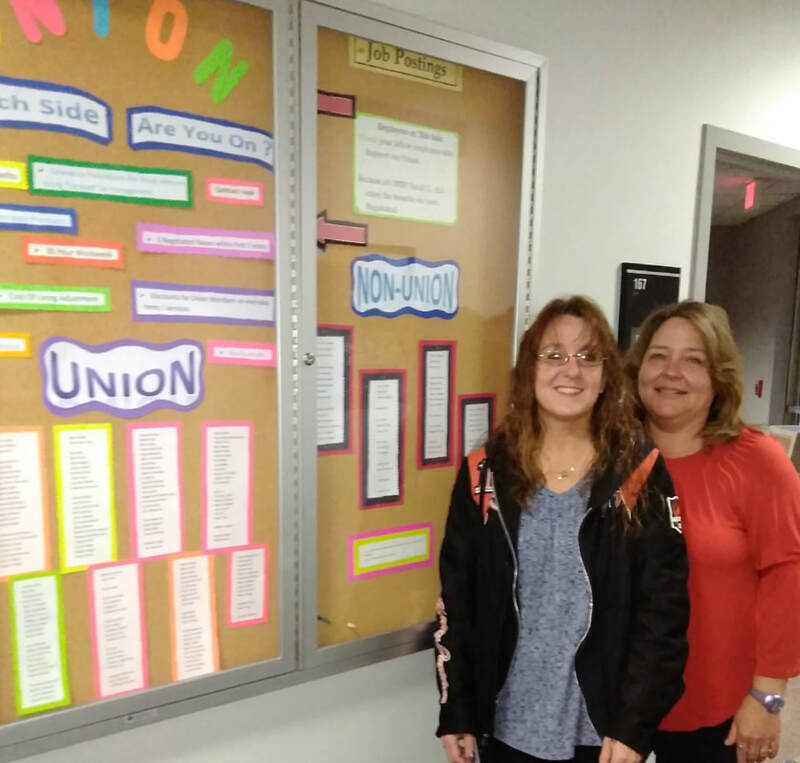 ​The OPEIU Local 2 Women's Committee is looking for some strong union women to join us as we continue to move an agenda that centers around the best interests of women, our families and the communities where we live. Please let us know if you're interested in becoming involved in the activities of the Women’s committee and send any ideas you may have about how you'd like to see Local 2 show up for this event by participating in a survey: Click here! "​We’re working people. We don’t sit around. We take action." We have incredible union members. Click on any of the photos to learn about them. OPEIU Local 2 has some amazing shop stewards and union members. We want the world to know about you, so let us highlight your shop on this website and profile you in our e-newsletter.